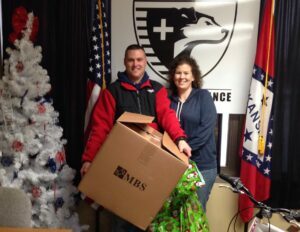 SDIA’s Christmas Outreach is our annual program to adopt the children of military, law enforcement, fire & rescue, and/or EMS families that are in need of assistance during the holiday season. 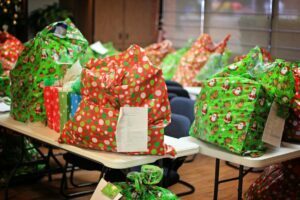 Each child adopted will receive toys from their wish list, clothing, shoes and other items that they otherwise would not have received. Won’t you please help us make the holidays bright for our Sheep Dog families and their children? Our greatest need is identifying Sheep Dog families with children that need our assistance. If you know of a worthy Sheep Dog family, please ask them to complete and submit the application below. The family will then be contacted by SDIA to verify and confirm the information provided; further instructions will also be given. 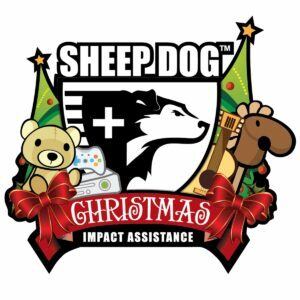 If you are interested in sponsoring a Sheep Dog child, SDIA will provide you with a list detailing their top three toy choices, shoe & clothing sizes, and any miscellaneous items they may need. We ask that you shop and bring the items to the local SDIA office as soon as possible so we know they have been taken care of. 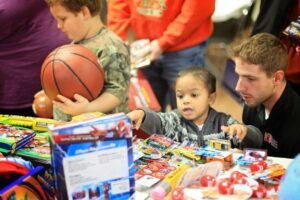 If you do not have time to shop, but still want to help, a $150 donation will cover the majority of the items on each child’s list. SDIA will shop for the items and ensure delivery to each family. To make your tax-deductible donation in any amount, visit our Donation page. Information on Sheep Dog families in need and other questions should be emailed to KRicker@SheepDogIA.org. 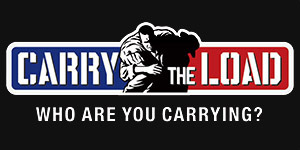 NOTE: to be considered for assistance, at least one member of the applicant family must be/have been a Sheep Dog (military, law enforcement, fire & rescue, and/or EMS). PROOF OF SHEEP DOG STATUS REQUIRED; please attach a copy of your DD214, department ID/photo/letter, SF-50 or other official documentation when submitting your application. Proof of need for assistance may be requested. Only children in the immediate family and ages newborn-17 years old are eligible. (If space is needed for more than four children, please attach a document including the required information for each additional child.) Questions should be directed to KRicker@SheepDogIA.org.